Gabbi looked as flawless as ever and every detail of her wedding day was designed, and crafted magically. Her glamorous gown was accented with delicate florals and a color palette of pastels that was breathtaking. 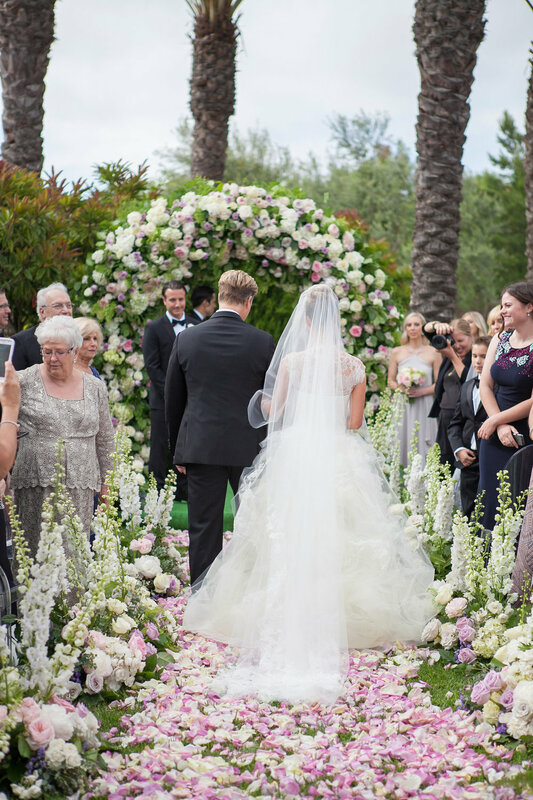 The couple said “I Do” beneath a spectacular archway of greenery and roses created by SYandCO. Gabbi, beaming with excitement and beauty, stood beside her future husband and bridal party. Gabbi’s purple pastel reception was brought to life with oversized floral tabletop arrangements and lace details. 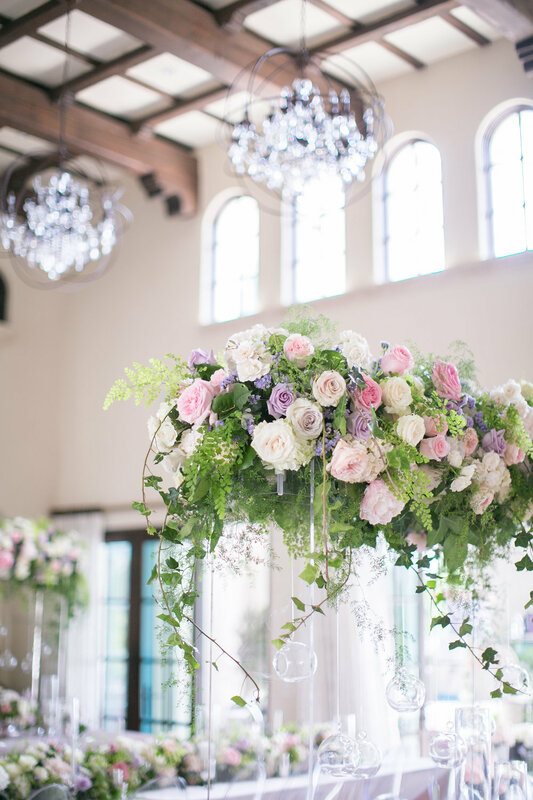 Gabbi and Christopher’s glam reception overlooked the California hills and the detailed design glimmered beneath strings of white lights.